Buying a home in Israel is a wonderful, fulfilling and perhaps Zionistic adventure. Our goal is to help you avoid key mistakes, and purchase property in Israel the smart and hassle free way. There is plenty to consider. By downloading our free guide, you will hear from Israel’s leading professionals to help you make a success of this exciting journey. Buy property in Israel safely, securely and within budget. Learn the financial aspects of buying property in Israel. Picking the best shekel international money transfer method. Decide on an appropriate tax structure. Decide between Tel Aviv, Netanya, Jerusalem or rural Zichron. Navigate the legal process work for buying a house in Israel. Secure finance for your overseas property. Build a personalised checklist and costing schedule. Over the past few months, we’ve pooled together a five star team of vetted professionals who can help your move. The CurrencyTransfer.com Editorial Team has interviewed trusted lawyers, real estate agents, currency experts, insurance folks and most importantly – the people you have most in common with, fellow buyers that have taken the plunge and bought their dream home in Israel. We have thoroughly investigated the Israel buying process, leaving no stone unturned. Our aim is to help you avoid being a frayer (sucker) and not falling for the common mistakes people make. From the initial visit all the way to the point of completion, each step needs to be managed and handled correctly to avoid undue stress and unknowingly losing hard earned money. 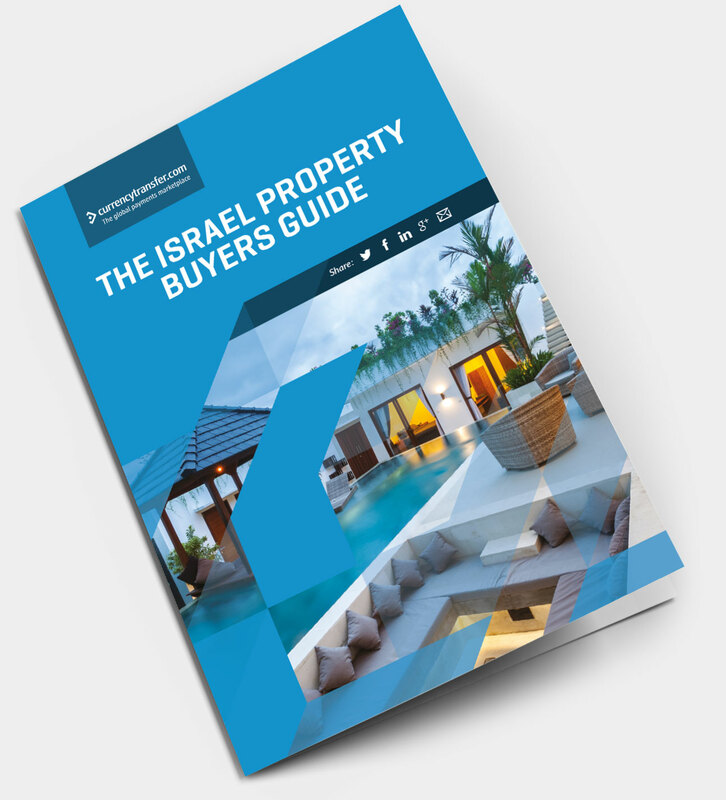 It was a pleasure to read the Israel Property Guide. Informative and educational, with practical tips along the way. The information provided helped clarify my thoughts on buying a house in Israel. I must have read the guide about 5 times! An absolute must read! We’ve met some of the experts, I am lucky to have found such experienced and proactive professionals.